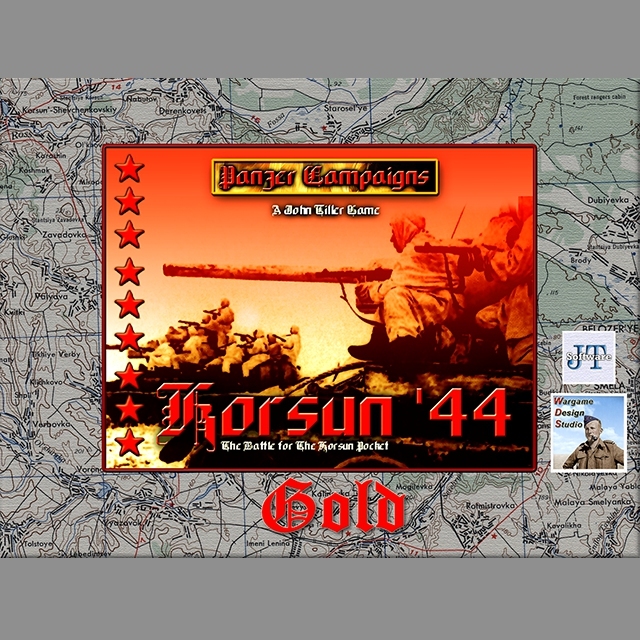 Panzer Campaigns Korsun ’44 Gold Released! 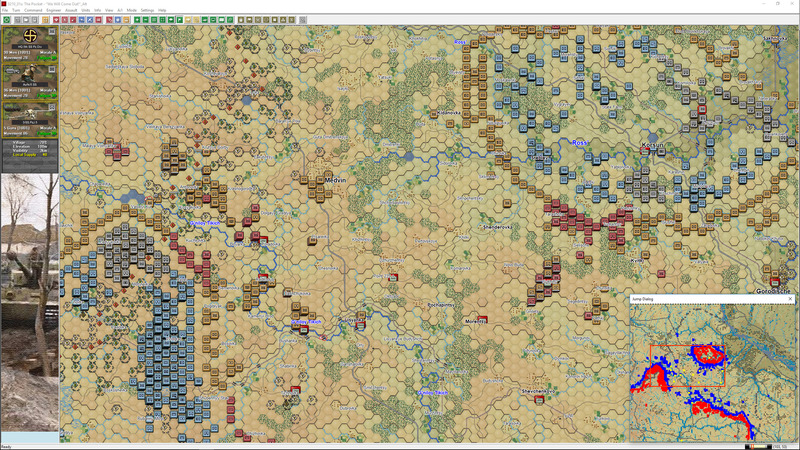 We’re happy to announce that Korsun ’44 Gold is the final Eastern Front Panzer Campaigns Gold release. 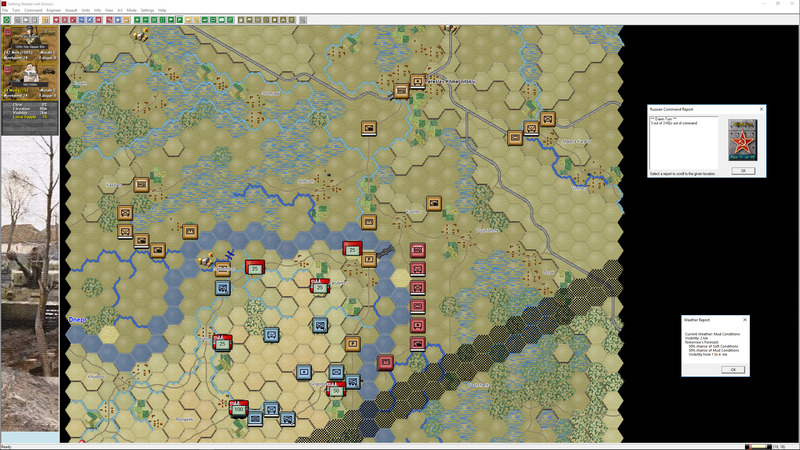 Korsun ’44 typifies the challenges the Germans were having by the start of 1944. Soviet numbers were overwhelming the German forces resulting in constant desperate defence, forces being surrounded and having to break out. Korsun ’44 shows one of these dramatic confrontations during the winter of 1944. The included Volcano Man Alternate scenarios go beyond Ed William’s usual conversion to standardised values. 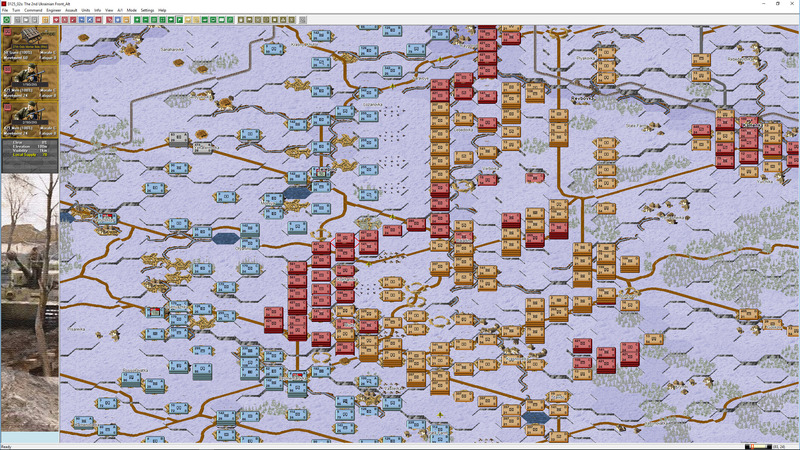 Korsun ’44 (along with Kursk ’43) is the only game where the campaign games have been redone and rebalanced to ensure more appropriate historical progress. Ed’s scenarios are well worth trying out. In addition, another version of the campaign game is included. Additional notes are included below. A brand-new Campaign game by César ‘Indragnir’ Librán Moreno. 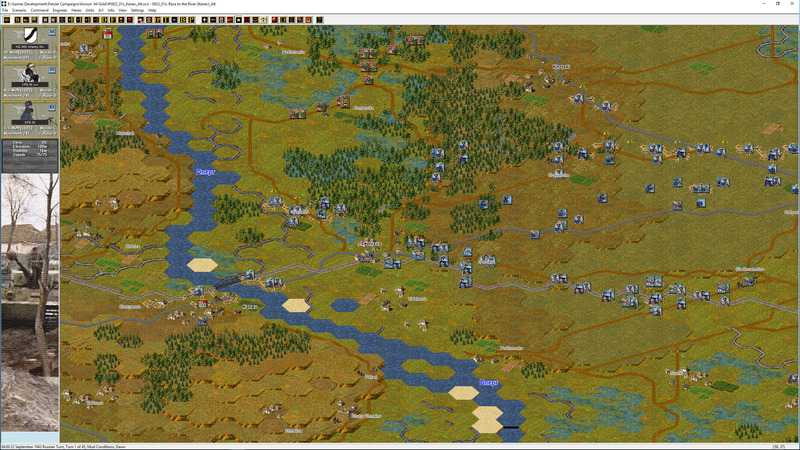 César’s new Campaign Scenario 0125_01s: The Korsun Pocket Full Campaign VARIANT 1) has used significant new information that has become available over the last couple of years. This information was not available when the original Korsun ’44 campaigns were designed. 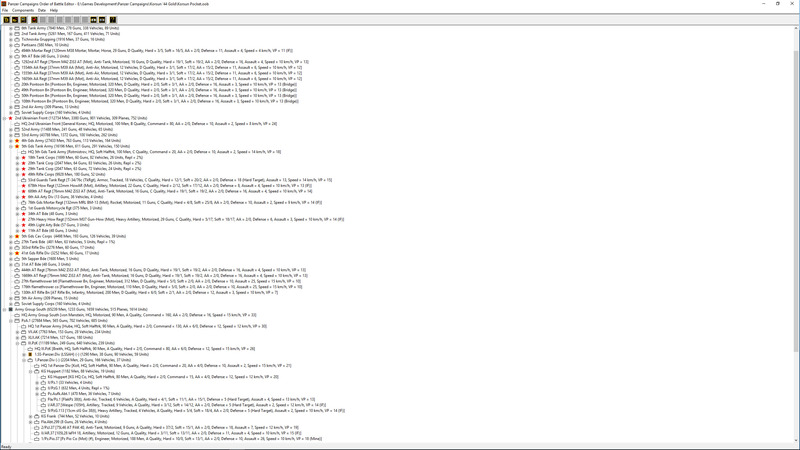 César’ has included some very detailed Campaign notes in an included word document. 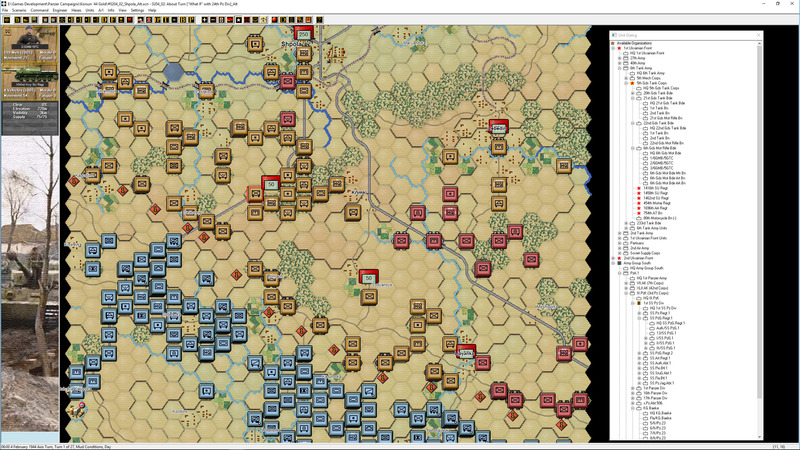 This scenario will be a real delight for prior players of Korsun ’44 as the availability of many units has changed and is a worthy addition for the Gold update. 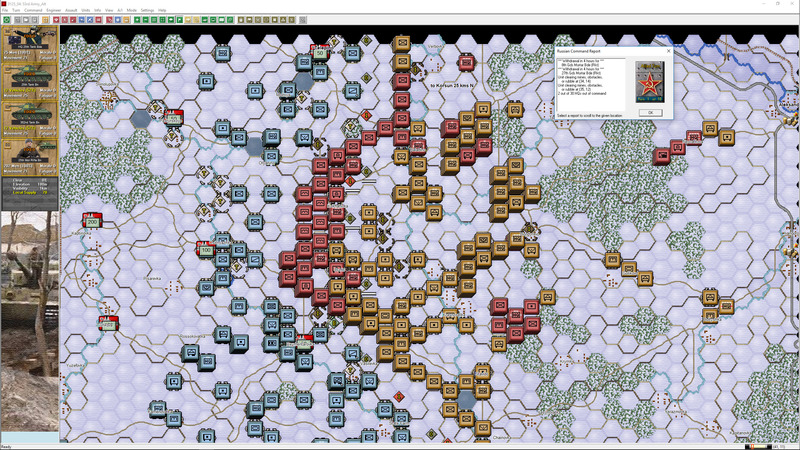 That wraps up the Eastern Front updates for now. The Western Front and Mediterranean will follow later in the year. 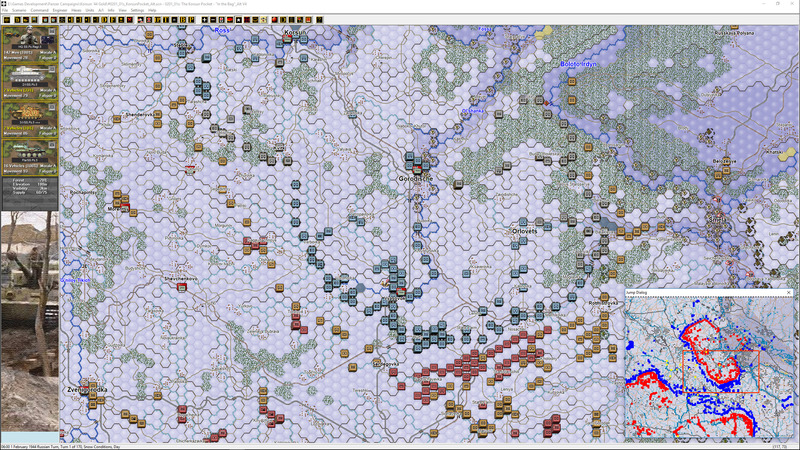 ← Panzer Campaigns Kharkov ’43 Gold Released! That will probably the topic of next weeks blog…! 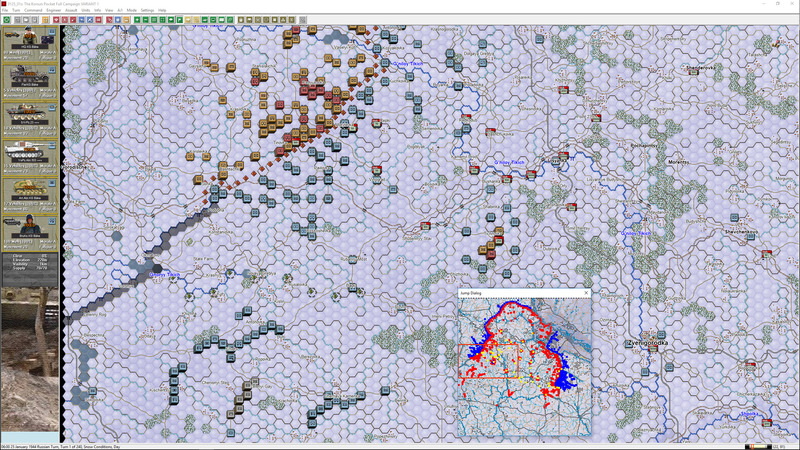 What is next is hopefully a new Panzer Battles southern front title in the not too far future. Looking forward to all the PC gold titles, I can’t believe I’m replaying them all. So keep them coming! Good job, fans are appreciative. Expect a blog entry soon updating everyone on the North Africa title. We’re very happy how it’s turning out. Can you please give us an idea which title will be next in the “gold” series. “Next week” is almost over, when can we really expect “next weeks” blog? When I get home tomorrow and can take the appropriate screen shots!!! thanks………we are all very anxious for an update.